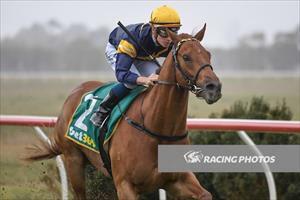 Hang Man is our runner on Sunday when the import races at Bendigo. Hang Man finished runner-up at Warrnambool at his last start over 2000m and steps up to 2200m in race seven, the Benchmark64 handicap. The son of Windsor Knot has pleased Mike Moroney with his progress since. “He’s done very well and his work on Thursday was excellent,” Moroney said. Hang Man will jump from barrier 11 after scratchings however, Moroney is not overly concerned. “It’s not ideal but it’s not the worst and he should be able to find a position,” Moroney said. “Out to a longer trip I’m not expecting the pace to be too hot so the main thing will be for him to relax and settle into a rhythm. “The Bendigo track looks ideal for him and the cut in the ground is his preferred surface.